Fruit & Vegetable Cleaner, its unique formula and hi-tech production avoid electromagnetic interference to ensure greater product stability and higher ozone output. It curbs bacterial growth effectively to give cleaner and purer air in the office and at home. It also removes pesticides on fruit and vegetables, disintegrates hormone residues in meat and seafood, kills bacteria, bleaches and removes stubborn dirt, keeping food fresh. It is a useful and versatile item in modern homes and offices. The protective umbrella for healthy living: Huge progress in civilization has satisfied a lot of our materialistic needs but has also brought a lot of health hazards. Our daily supply of fruit, vegetables, rice, meat and seafood are loaded with pesticides, chemical fertilizers, hormone residues and other hazardous substances. Natural bactericidal agent: Ozone (O3) is a potent natural oxidizing agent. It can kill bacteria, viruses and other micro-organisms via oxidation that destroys their membrane structure. Dissolved ozone is even more potent. Water, food and utensils treated with ozone are absolutely devoid of harmful organisms. Its bactericidal power is more superior to other sterilizing agents. It removes pesticides on fruit and vegetables and hormone residues in meat and seafood. It sterilizes cutlery, milk bottles, towels and clothing. It sterilizes the aquarium, increases its oxygen content and keeps the fish healthy. This device is used to Purify Water: Sterilize bacteria, decompose organic substances & heavy metal ions & increase oxygen. Decontaminate Food: Decompose hormones in meat & all remaining pesticides on surface of fruits, vegetables. Refresh Air: Remove indoor smoke, toilet/kitchen smell, suspended air particles, fungi & decompose poisonous substances. Sterilize Utensils: Kill germs on knives, forks, bowls, and milk bottles. Skin disease treatment: In 1991, USFDA approved ozone for the recycling of poultry rinsing. Water purification: Insert the vent of the machine into the water container and run for 5 to 15 minutes, then ozone water in different consistency is ready, which can be drunk directly (waiting for several minutes after turning it off) or used for disinfection and sterilization (the proportion of water and running time is 10kg/10min). Disinfection for instant food: Immerse the food into water inside the container and cover up, then induce ozone for 5 to 15 minutes, you can enjoy food with ease. Disinfection for Fruits and Vegetables: Dip the fruits and vegetables into water inside the container, place the vents in the bottom of water, and operate the machine for 5 to 10 minutes. The effect is that residual pesticide, fertilizer and other poisonous materials will be removed. Operate the machine for 20 to 30 minutes; 5 to 10 kg of fruit or vegetable may be treated. Keeping fresh of eggs, meat and Fish: Place eggs, meat or prawns in water and induce ozone for about 15 minutes, the bacteria and other germs will be killed. Moreover, the residual hormone, antibiotics and fungus will also be removed to make the meat fresher, and its fresh duration can be prolonged to 2 or 3 times as it used to be. Treatment of crusted rice: If the rice has been kept too long, odour will increase and virus and bacterial will propagate. Immerse the rice in water inside container and operate the machine for about 10 minutes before eating. The mildew smell, residue pesticide and fertilizer will be effectively removed to give the freshness of the rice. Keeping the rice or Soybean: Put the vent into the receptacle containing rice or soybean, and run for about 10 minutes. To avoid the breeding of worms, mould etc. and prolong its fresh insurance. Cleansing of Shells and Sea Food: Insert the vent into the container in which shells or other seafood are stored, operate the machine for 15 minutes, and the hepatitis virus will be killed. Besides, the expelling of sand by shells will also be improved. Disinfections for daily and baby necessities: Place the washed daily living and baby necessities such as toothbrush, towel, feeder, toys etc. in a container or in water, and provide active oxygen for 5 to 15 minutes. Some infective germs such as Coli bacillus, Staphylococcus etc. will be killed effectively to provide against possible diseases. Cleansing oral cavity: Brushing teeth or gargling with the treated water can prevent cavity disease such as halitosis, gingivitis. Suffering from Toothache or sore throat, you can get rid of these uncomfortable symptoms easily and quickly by keeping ozone water in mouth. Personal Hygiene: Wash hands with ozone water before meal, after bowel movement, contacting money and back home from outside to disinfect and prevent cross infection. If using it longer, the skin will become smooth and tender. Beautifying Countenance and Healthcare: Washing face or taking bath with ozone water can smooth away as well as the dirt and bacteria inside skin pore that lead to comedos, activate skin cells, smooth the breath of the skin, activate histocyte, speed the blood circulation, make your skin clean, soft and white and respite from tiredness. Prevent VD and gynopathy: Frequently taking bath with ozone water can cure VD and gynopathy. The test reveals that active oxygen can kill as much as 99.9% of bacteria resulting in gonorrhoea. Home Medical Treatment: The suffering of gastritis, gastric ulcer and enteritis may reduce the frequencies of diseases and also get relieved in sick time by drinking the treated water daily. Besides, the dermatosis caused by epiphyte infection may be effectively prevented and cured if using the treated water for washing. 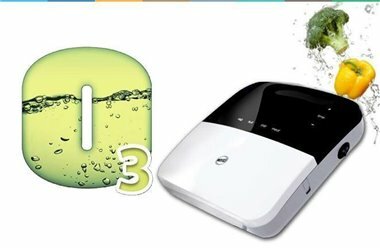 O3, highly pre-emptive, is effective in killing fungus and mould that lead to barrier and is therefore wonder drugs for aeration are immersion for itching feet, smelly feet and infected toes. O3 is highly effective in curing bacterial obstinate skin itching colitis and leucorrhoea. Immersion in ozone-water can relieve or cure children of skin rash, dermatitis and heat rash. Immersing clothing, towels or utensils in ozone-water helps prevent cross-infected of some diseases. Pet cleaning and disinfections: Deodorize the furs of pet to prevent diseases and breeding of bacteria. Just put vent at the neck of the bottle, and induced ozone for 1-3 minutes, which can remove pungent flavour of alcohol concentration, colour and lustre and mellowness as original. Deodorization of closet and cupboard: Place the vent of the machine inside the closet and close the door slightly (not clipping the hose).Operate the machine for 5 to 10 minutes, and sterilization and deodorization will be effectively done. Place the machine on a high place indoor and operate it. It can prevent wall and ceiling from mildewed in moist season. In the room with new decoration, suggest running for 1 hour per day and two or three days, which can decompose the poisonous gas (as radon, formaldehyde etc)from decoration materials, compound boards and paint, and provide you a comfortable living environment. In offices, meeting rooms and air –conditioned, exist large amount of smoke, bacterium that caused by second-pollution. Use this product discharge ozone for 20~30 minutes every day can obviously improve and refresh the air, as well as prevent the emergence of infected diseases. O3 aeration in a fridge disinfects the fridge, prevents taint of odour between foods and prolongs the fridge's antistaling function. Washing the Clothes: Before cleaning work, put the vent into the water soaked with clothing and operate the machine for 5-10 minutes, which makes washing more easily, can save the detergent by 60% and moreover prevents cross infection through clothing. Cleaning the Room: Cleaning the floor of restroom, bedroom, kitchen and toilet to sterilize effectively and prevent the breeding of bacteria and mildew. Flora cultivation and Fish feeding: Watering flowers with treated water will prolong the blossom period and make flowers fresher; feeding the fish with ozone water will avoid the fish-disease and reduce the times of clearing water, and the fish will be more alive.